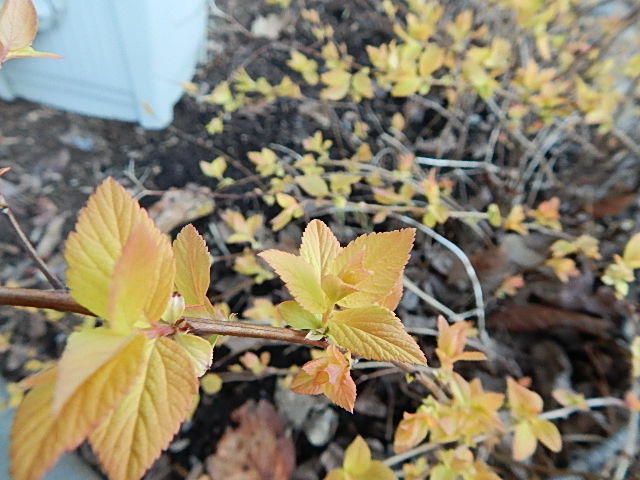 Is spirea growing in your garden landscape? Have you noticed its chameleon-like nature? I have heard spirea described as a “workhorse” plant. It is hardy, drought tolerant and versatile. There are scads and scads of both spring and summer blooming varieties in more than 80 species. 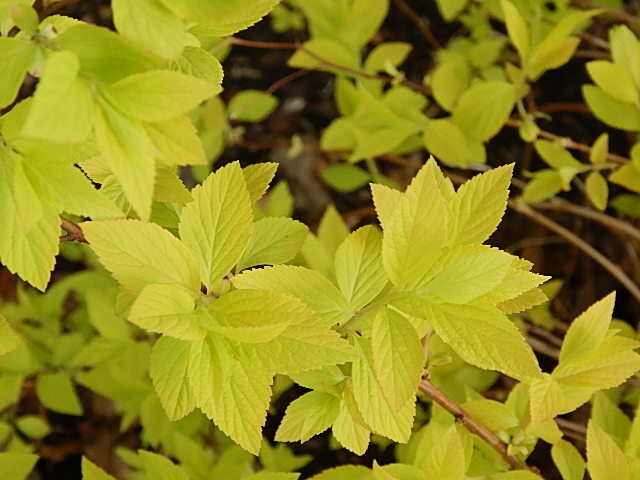 This deciduous, fast-growing shrub and available in just about any growing zone. I suspected the two woody shrubs by the front door might be spirea and an illustrated article in one of my garden magazines and a little research confirmed it. I don’t know the species or variety but I am enjoying its chameleon-like nature as it moves through spring. Just a couple of weeks ago ago its foliage was orange, quickly changing to orangish yellow. Next it changed over to chartreuse. Soon enough I will be enjoying its pink blooms atop dark green leaves. Categories: Musings, Uncategorized | Tags: Spirea | Permalink.